Cleaner teeth. Gently does it. Densely-packed, high-quality bristles remove up to 7 x more plaque than a manual toothbrush. And the specially curved power tip makes reaching the teeth at the back of your mouth a breeze. You can be sure of a safe brushing experience: our sonic technology is suitable for use with braces, fillings, crowns and veneers, and helps prevent cavities and improve gum health. 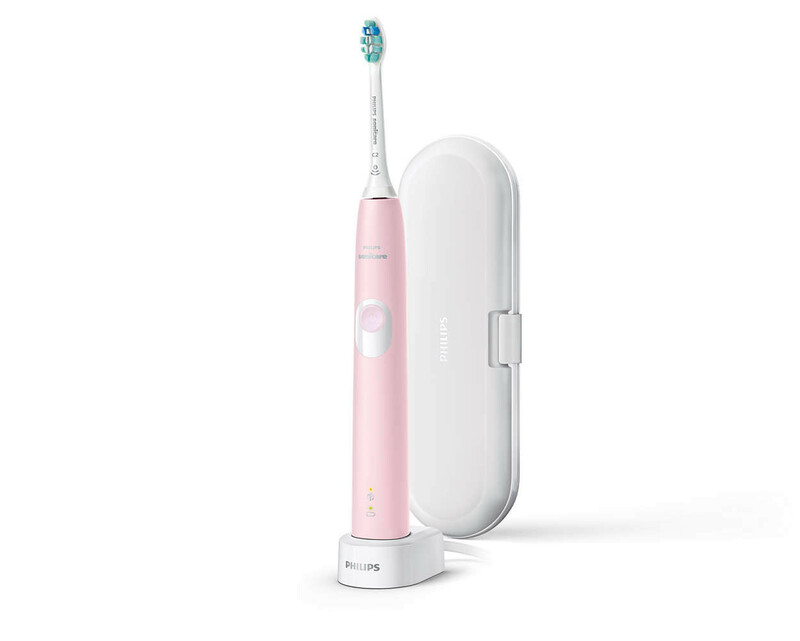 Your Sonicare brush head and handle are the ultimate team. Enhancing our sonic technology, they give you unrivalled cleaning. 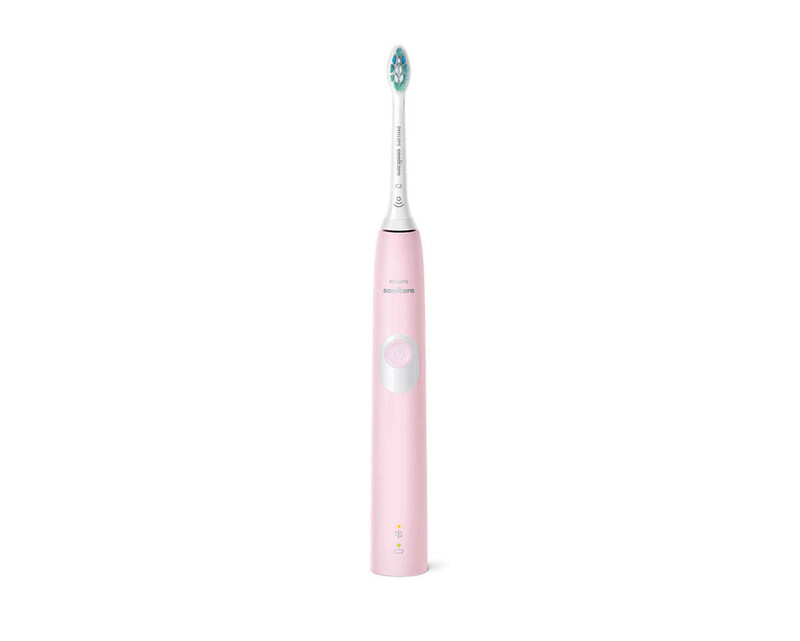 High-speed vibrations in your toothbrush handle power up to 62,000 brush movements per minute that whip up your toothpaste into gentle cleaning bubbles, driving them deep between your teeth and along the gum line for exceptional cleaning. You may not notice if you're brushing too hard, but your toothbrush will. If you start taking it out on your gums, the toothbrush will make a pulsing sound as a reminder to ease off on the pressure. 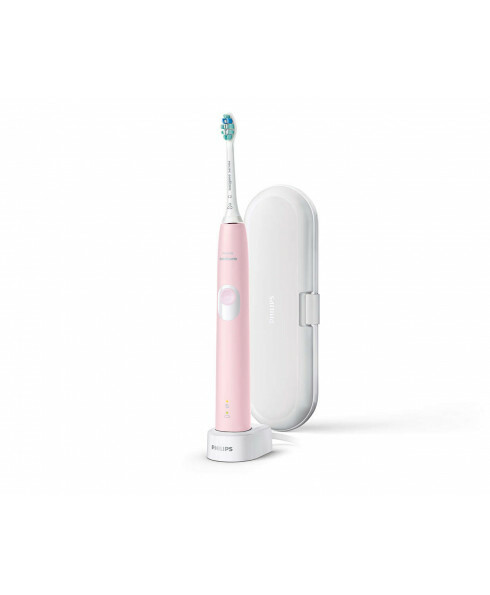 A microchip-enabled technology that detects and synchronises the smart brush head with the smart handle. The smart handle and smart brush head pair is a powerful combination that enables Smart replacement reminders. Starting something new can take getting used to. 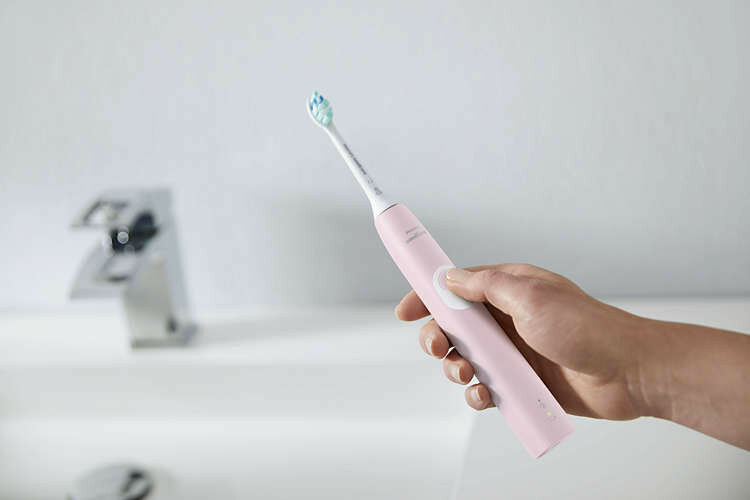 That's why our easy-start programme gives you the option of a gradual, gentle increase in brushing power the first 14 times you use your new toothbrush. Our premium travel case lets you store your toothbrush hygienically, while our compact charging base keeps you topped up when you're on the go. You do get two weeks of regular use from a single full charge, but the charger's just the ticket for longer trips. Leaves your teeth feeling very clean!